Toscana (Italy) style’s residential area, delicate and quiet. The house of an architect, stacked villas, a quite unique space that offers four different scenery outside the villa. The sun room and garden scene blends very well, elegant environment, right next to a river (only 15 meters away). 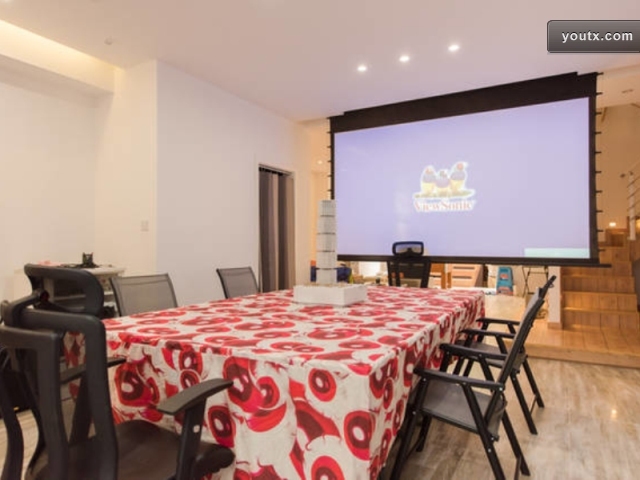 Equipped with home theater, table tennis table, eight-bar table football, Texas Poker table for 10 persons, Majiang game, board games, fishing tools and other light entertainment facilities (because we are not a noisy party place, we did not install KTV equipment for singing). The kitchen is equipped with Hot pot, barbecue tools, and Pizza oven, providing all sorts of dining equipment, cooking utensils. Tableware are really complete. Over 250 square meters, with a special large living room covering more than 100 square meters, and 3 meters high space, and can be flexible separation, suitable for family and friends reunion. China Telecom WiFi full coverage, 100 megabit bandwidth. Public club supplies swimming pool(warm water), tennis, basketball, ping-pong, billiards and SPA (some of them are payable). 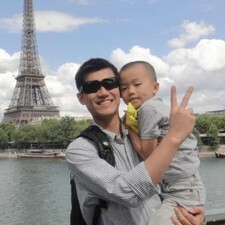 1 Waigaoqiao Imported Goods Supermarket (Mid Jiasong Road, Lane 5999, 2nd floor, Qingpu District, 2 minutes driving).